* I'm using RIFT.io's tool for this blog post. 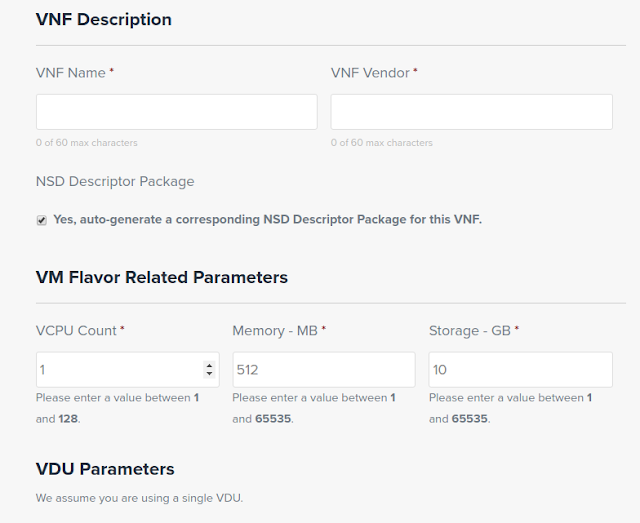 * Compare to OpenStack Tacker, currently in Tacker you have to prepare the VNFD, VNFFGD, NSD yaml files yourself. Fortunately, there's an effort made by myself to develop a web tool for Tacker with a nice interface to help users design those templates visually and avoid mistakes. I call it the Tacker Studio and my plan is to finish it before OpenStack Summit Vancouver 2018 this May. In the meantime, you can follow up with that here.